Have you always dreamed of an outdoor wedding in a garden setting? 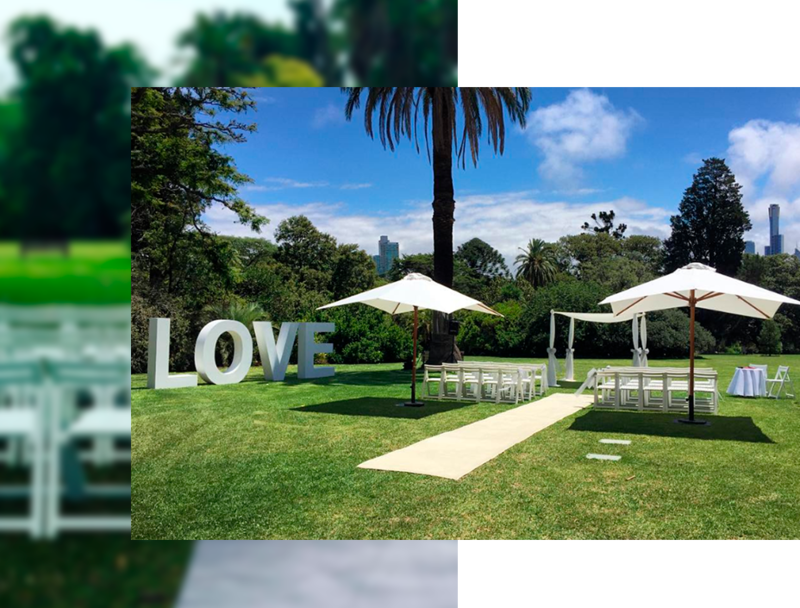 Weddings of Distinction are a garden wedding specialist in Melbourne and work with some of the most beautiful sites and venues in Melbourne, Victoria. If you do not already have a site or venue in mind, we can help you choose the perfect venue or location for your outdoor garden wedding in Melbourne. The Royal Botanic Gardens and the Rippon Lea House and Gardens are just two of the many lovely gardens in our repertoire of wedding venues. Our convenient garden ceremony packages make it easy to plan and budget for a wedding celebration that meets your needs and expectations. Whether your party is large or intimate in size, our event staff are prepared with seating, decorations, delivery and take-down. We take care of the details while you enjoy your special celebration. More than 18 years of experience have made us experts in garden weddings Melbourne. Our reputation and experience are at your service for your important events. It is our pleasure to create the ideal outdoor setting you want for your wedding from ceremony through to reception.